ShapeShift is one of the easiest and fastest ways to convert one cryptocurrency into another. The ShapeShift service requires no account setup or registration of personal information and cryptocoin trades can be performed directly on the official website or third-party programs. Essentially, all users need to do to perform a cryptocurrency exchange on ShapeShift is to send a set amount of a cryptocoin to the provided address. Once sent, the ShapeShift service will automatically convert the coins at the current exchange rate and send back another cryptocurrency that's worth the same value. Exchanges can take less than a minute up to 20 minutes or so depending on the cryptocurrency blockchain being used. 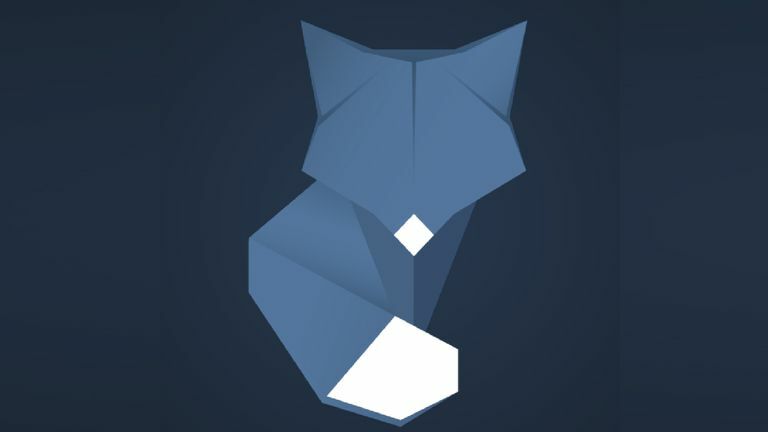 ShapeShift is a decentralized cryptocurrency exchange. This means that its service is hosted on a variety of servers in different locations and that it does not store funds or personal data. ShapeShift acts as a middleman for cryptocurrency trades and there is no risk to a user's privacy as no personal data is collected. Before trading cryptocoins on ShapeShift, you'll need the following. A hardware or software wallet for the cryptocurrency that you wish to receive. You will need a Ripple wallet to receive Ripple, an Ethereum wallet to receive Ethereum, and so on. One of the more-convenient ways to perform a ShapeShift trade is to use the official ShapeShift website. Here's how to initiate a trade on the site. Visit the official ShapeShift website at www.shapeshift.io. It's important to double-check the website's address and bookmark it for future use as there are numerous fake/scam sites online that imitate ShapeShift and are designed to trick users into sending their crypto to an incorrect address. On the front page of the ShapeShift website, you should see a large white box with two sample cryptocurrencies. Deposit is the currency that you will be sending ShapeShift and Receive is the currency that you want to get in exchange for it. Click on each icon to change them to the correct cryptocurrencies. If you want to exchange your Bitcoin for some Litecoin, Bitcoin would be your Deposit cryptocoin and Litecoin would be in the Receive position. Click on the Quick grey button. Press the blue Continue button. On the next screen, you will be presented with two empty spaces for cryptocurrency addresses. Using the example above (trading Bitcoin for Litecoin), the first field is where you would enter your Litecoin wallet address. This is where the converted cryptocoins will be sent after the exchange is completed. Remember, only a Litecoin wallet can receive Litecoin. You can get a Litecoin wallet via Coinbase, Coinjar, or a variety of hardware and software wallets. The second field, in this example, is the wallet address of your Bitcoin wallet that you'll be sending currency from. This is only used for refunding your Bitcoin in case something goes wrong. Press the Start Transaction button. You will be taken to a new screen with a QR code for a Bitcoin wallet address and its full numerical name which will appear as a series of letters and numbers. Send your preferred amount of Bitcoin that you wish to trade to this address. ShapeShift will automatically detect how much you sent it and begin converting it into Litecoin. You should receive the converted Litecoin in your Litecoin wallet within a few minutes. The popular Exodus Wallet cryptocurrency software wallet program features built-in ShapeShift functionality which allows users to exchange cryptocurrencies directly from within the app. This can be more convenient than using the ShapeShift website as it allows users to manage their software wallets and trading all within the same place. To begin trading currencies within Exodus Wallet, do the following. After opening and logging into Exodus Wallet, click on Exchange on the left menu. On the left column with the label, EXCHANGE, select the cryptocoin you wish to trade/send. Once selected, click on either ALL, HALF, or MIN to automatically fill in how much you want to trade. ALL will send all of the chosen cryptocurrency from your wallet, HALF will send half, and MIN will send the least amount possible for the trade to succeed. The latter option can be useful for testing the exchange feature before trading a large amount of crypto. Alternatively, you can manually enter how much you want to send either in the cryptocurrency value or in USD in the appropriate fields. On the right side, choose the cryptocurrency that you want to trade for/receive. Click on the EXCHANGE button. Your trade will now activate and you can track its progress by the onscreen animation. ShapeShift doesn't charge any fees for trading via their service however each transaction will still trigger a miner fee on the appropriate crypto blockchains. These fees are usually less than a dollar and are often just a few cents. Make sure to double-check your wallet addresses being used in each trade. There is no way to reverse or refund a successful transaction. Funds will only be refunded if the ShapeShift service itself experiences an error. Sending cryptocoins to the wrong person is something that can't be undone. Official customer support from reputable companies will never ask users to send them crypto to a wallet address in an email or a message on a social network like Twitter or Facebook. If you experience difficulties trading, only communicate with officially verified ShapeShift social media channels that are linked to on the official website.